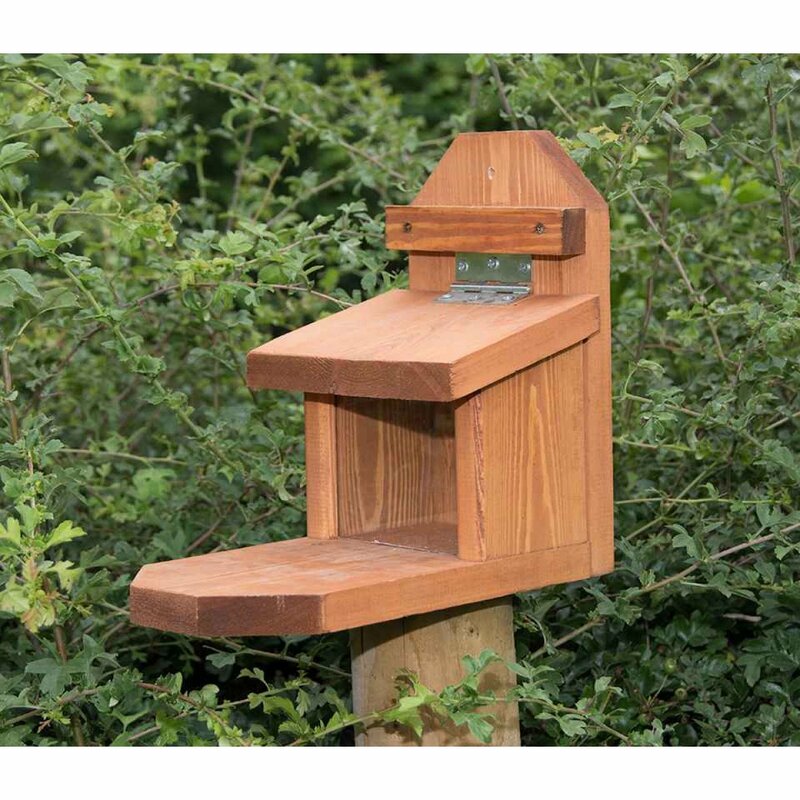 In addition to full height bird tables, a ground feeding bird table can help spread the workload of ..
New to the riverside range is this solid wood bird table. A large imposing design based on a tudor s.. This is the medium sized Bird Feeding Station in our range. These don't have a table as such, a.. This sturdy squirrel feeder is built to last. Made from solid Redwood timber, the lid has a corrosion resistant hinge to ensure longevity and proper function. The generous hopper can easily be filled with peanuts or peanuts in there shell. An ideal feeder to attract and maintain squirrels in the garden. Siting:Locate in convenient position for filling away from bird feeding areas. We have a small garden. Can this feeder be attached to a tree? Or on the top edge of a fence?